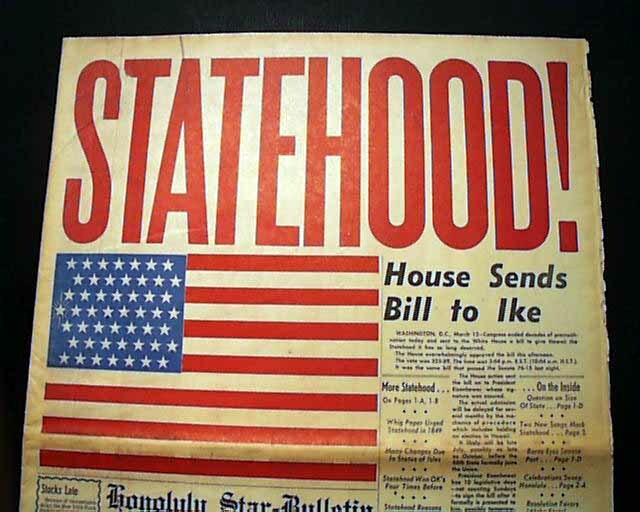 The huge banner headline across the top of the front page--in red ink--reads: "STATEHOOD" with an 8 1/2 by 6 inch color print of an American flag with 50 stars, the 50th highlighted to mark the historic event. 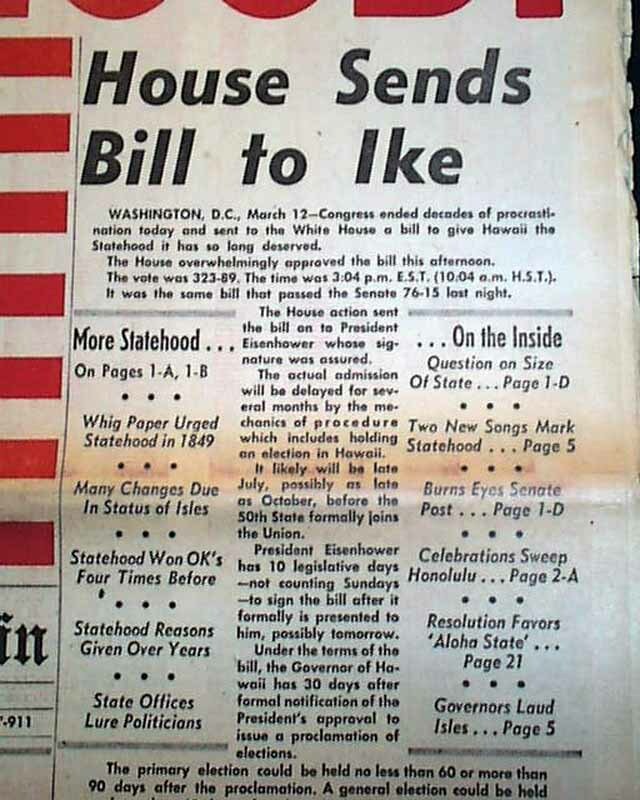 The image and banner headline take nearly the entire top half of the front page, with a smaller heading: "House Sends Bill to Ike". 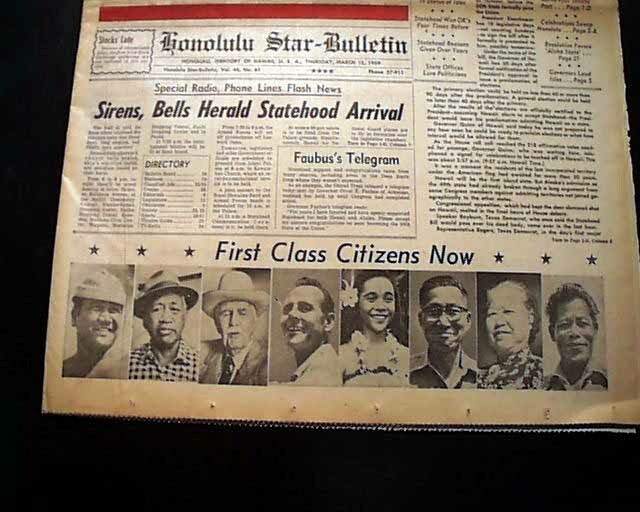 Additional front page coverage includes "Sirens, Bells Herald Statehood Arrival" and "First Class Citizens Now" stretched over photos of various Hawaiians "citizens" of the United States. 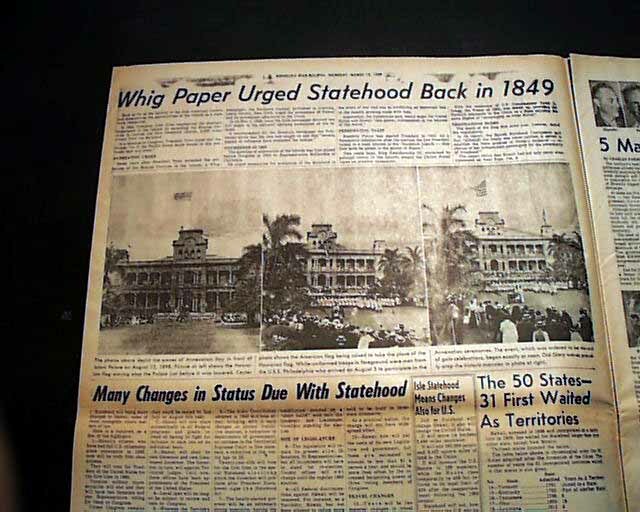 The inside contains additional images and reports too numerous to mention. Complete with both sections totaling 36 pages and in very nice condition. 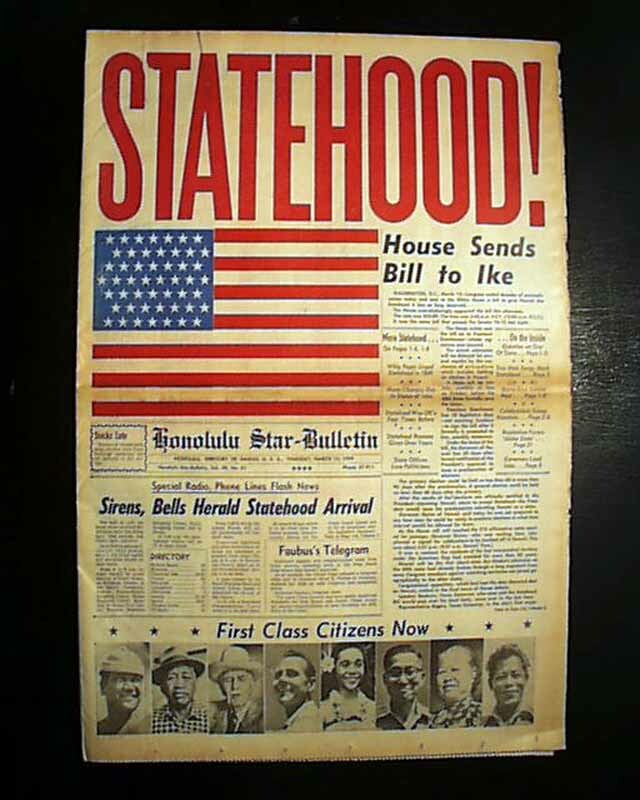 An issue perfect for display with this dramatic front page and being from the capital of the state.